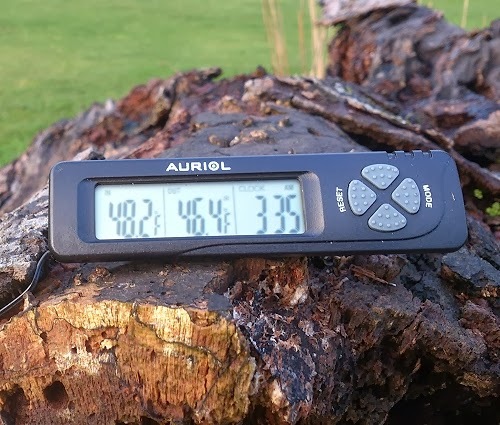 After the heavy rain and floods in December, the weather has been much drier and very mild for this time of the year. I took a reading with my digital thermometer at 15.35 and the temperature was 46.4F or 8C. This is very mild and it was so warm that I could get away with wearing a thin jacket with 40grams Primaloft insulation. Normally I would not wear this until late March to late September. I did not need to wear gloves or a hat. This gives a fairly accurate result. 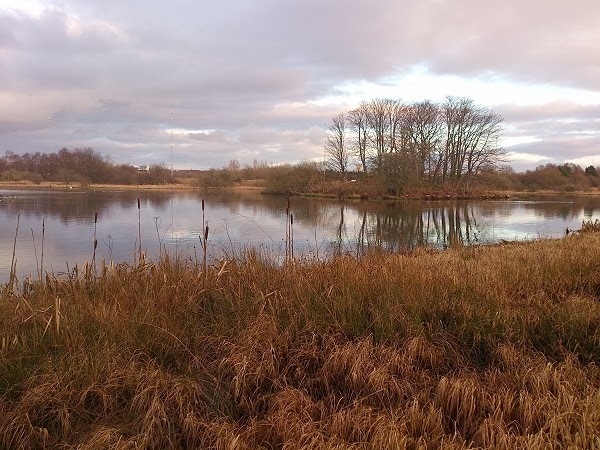 Around the Christmas period the water on the ponds in South Lanarkshire had flowed over onto adjacent land. Normally this land is not covered by water unless there has been a sustained period of heavy rain. In the photograph above, the floodwater had covered most of the ground up to the tree in the right foreground. 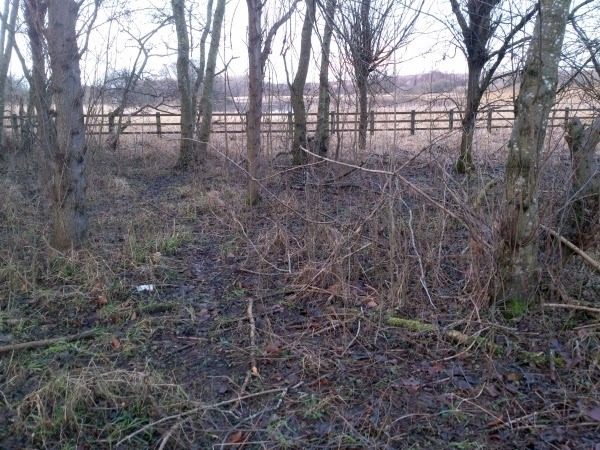 It had receded and was ground was back to its usual state. 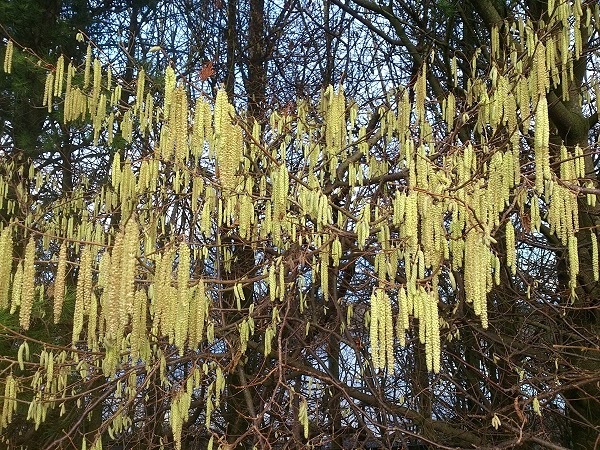 A Hazel tree caught our eye as we were walking from the bird pond above. 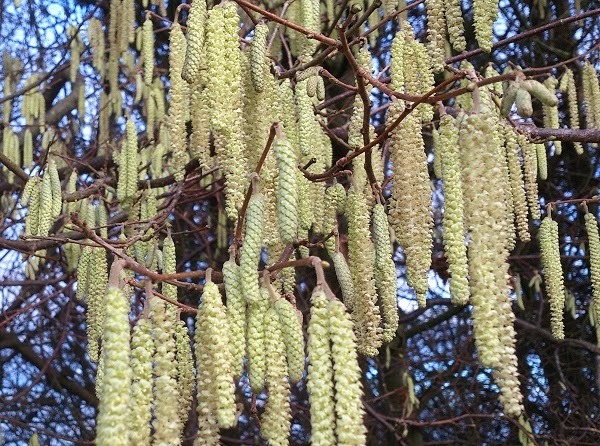 The male catkins were well developed and had the creamy/yellow colour which they have in the Spring. The mild weather probably caused them to be so advanced for late January. 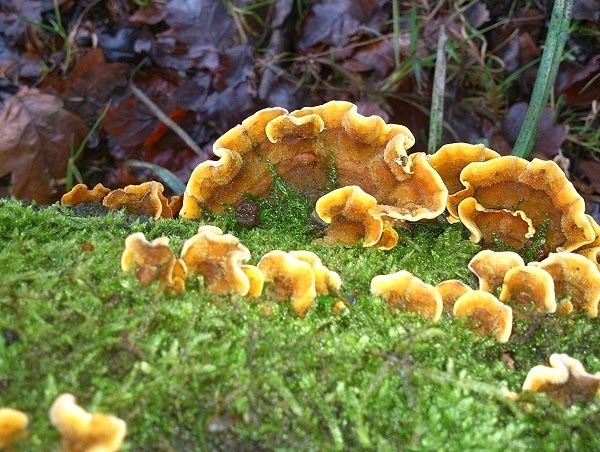 Most fungi is seen in the Autumn, but there are still some types of fungi visible throughout the year. 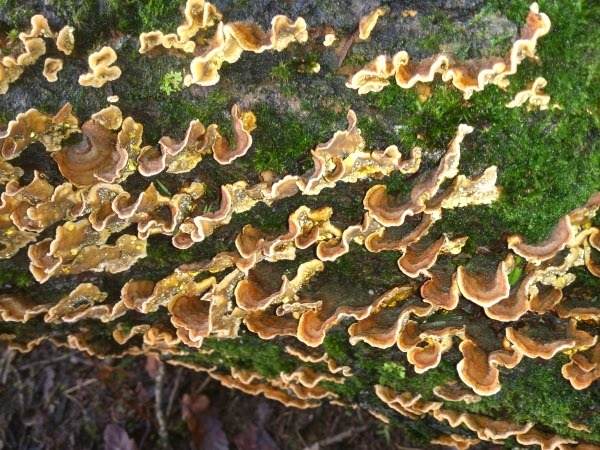 Trametes ochracea fungi grows on standing and fallen dead wood of deciduous trees, in particular beeches and oaks. They look nice and colourful. If the weather continues to be so mild, the Snowdrops will soon be visible and then the Daffodils and Tulips will follow. It is also getting lighter at night and in the mornings and my daily commute to Glasgow and back will soon be in daylight, rather than in darkness.